I just came across the most awesome idea and simply must share! Since learning of my mom’s cancer diagnosis right before Christmas, I have been very busy with “mom” projects. One involved scanning lots of pictures from old photo albums, including one that belonged to my grandmother that contained lots of photos of my mom as a baby, a child, and a young woman prior to meeting my dad. Scanning proved to be a fairly time-consuming process, and I had a deadline I was trying to meet (the end of the holiday break), so I sped up the process by taking photographs of pictures, using a tripod. 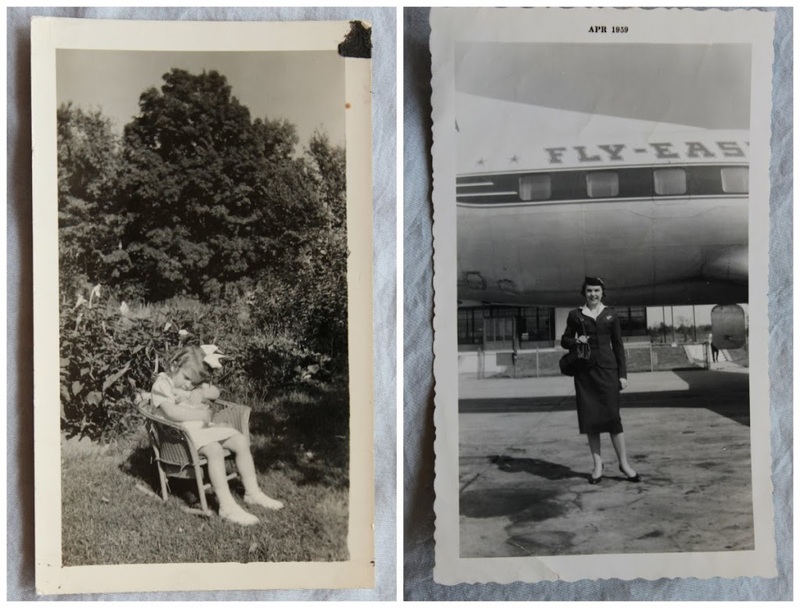 So far, I have digital images of nearly 200 old photos of my mom organized in an iPhoto album. I was talking with a friend in the midst of scanning and photographing images, and he mentioned the idea of making a screen recording with my mom using QuickTime (a Mac application). A screen recording captures images that are shown on a computer screen while simultaneously recording live voices using the computer’s internal microphone. The end product is a movie file containing both images and sound. It is very simple to do, and the possibilities are endless! For example, my friend described to me how he and his parents explored significant places via the website, Instant Google Street View at http://www.instantstreetview.com/ and recorded the screen images along with their live conversation about those places. The website allows you to navigate and view certain locations as if you’re taking a walk down the street. (My kindergarten students love to take a virtual walk around town on this website and see all the familiar places.) This technology makes it possible, for example, to record yourself exploring and talking about childhood neighborhoods, places you traveled to, etc. I love the idea. The night before school resumed and my mom began chemo, I brought my laptop to my parents’ house, and we sat around it and made a screen recording of the photos of my mom in my iPhoto album and our voices discussing each picture. It was wonderful. I learned so much about my mom’s life and my parents’ life together as we looked at the photos onscreen. Some incredible stories came out of this 50-minute conversation, and everything is captured in a video that can be copied for family members. I am so grateful to my friend, Sam, for giving me this idea. Click on the down-pointed triangle to the right of the red dot, and select “Built-in Input: Internal Microphone. Click on the triangle again, and select “Medium” Quality, which results in a good quality recording and a smaller (yet still very large) file size. Click on the red dot to begin recording. Create your recording by talking about what you’re viewing on the screen. When you are finished, click on “Stop Recording” at the very top of the screen. That’s all there is to it. Movie files I create in this way are, by default, saved to my “Movies” folder. To playback the movie, open the file, and click on the sideways triangle “play” icon. Open the app, and drag your movie file onto the workspace (five dots in a square icon). Try 20% quality (which can be boosted if need be). For Sound, select MPEG-4 AAC. To the far right of Sound, select 128 kbps. If you’d like to make a DVD, you can drag the original (larger) movie file into an app such as iMovie (and then finish in iDVD). I am so grateful for the technology that makes it possible to create keepsake recordings like this so easily. When I tried it with my parents, it was such a positive experience that I just wanted to tell everyone about it! It’s something you can do by yourself, too, if the people around you aren’t tech savvy and you’d like to make recordings about your own life. Within the next couple weeks, I’d like to make the same kind of recordings with my dad, with photos from his life and of his ancestors, and maybe take a virtual tour of his hometown or even of the town in England where we visited relatives. He’s always enjoyed taking us on car rides through his old stomping grounds, and this is a great way to have a more permanent record of the places, people, and stories that are woven together into the fabric of his life. I’d also like to make a screen recording of my parents’ favorite places in Hawaii. I can’t wait!